Improved management, administration, and security streamlines operations improves security and administration control, and reduces costs of operations. Expanded Role-Based Access Controls enables user and groups assignment to multiple roles and restrict access to Prognosis instances in large complex deployments. 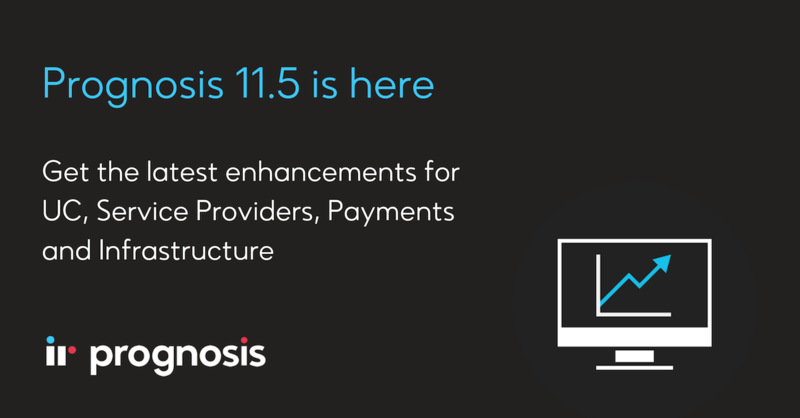 Improved administration navigation between Prognosis management and monitoring nodes streamlines management of large complex vendor and Prognosis environments. Streamlined deployment of Prognosis for Skype environments with simplified deployment model and built-in web-based configuration. Improved monitoring and troubleshooting to improve overall health of UC systems further reduce issue resolution time and minimizes service impacting issues. New Cisco certificate expiration monitoring prevents customer impacting outages and service interruptions. New Avaya Aura Session Manager SIP troubleshooting reduces time to identify and resolve SIP signaling problems. Improved and expanded Skype meeting and conference dashboards and troubleshooting improves support for large and reoccurring meetings. New and improved Path Insight module expands network troubleshooting and root cause identification. New NetFlow visibility for advanced UC troubleshooting across the network. New predictive network problem solving capability for bandwidth utilization, cabling problems, and more. New dynamic network diagramming tool helps identify and troubleshoot UC network problems. Expanded reporting and analytics for Cisco and Skype environments provides deeper insights for Service Provider systems performance. New Cisco trunk utilization reporting. New executive and operations reports for Skype including performance heat mapping. Many more general improvements based on customer feedback. Expanded Cisco Video Conferencing end–to-end system health monitoring. New built-in monitoring and troubleshooting of Cisco and Polycom video conferencing solutions using Cisco Meeting Server (CMS). Monitor and troubleshoot system health, component status, licensing, certificates and call/meeting connection and performance. Improved support for Tele-presence Management Suite (TMS) based solutions. New Proof of Compliance dashboards and insights deliver proactive oversight and monitoring to ensure that required call recordings are compliant with regulations. Complete record of all call compliance details for a recorded user for up to seven years. Complete historical records of major issues which impacted the call recording platform. Ready to upgrade? We are ready to help. Confirm your best contact details and your Account Manager will reach out to begin the process.